After consuming 6000+ calories of dark fruity beer and shelling out more money than I’d care to count up, I feel I can give you a definitive list of the best quads on the planet. I’ve split the list into beers brewed in Europe and those brewed on this side of the Atlantic. If we had some sort of Europe vs. North America Ryder cup of Quads I’m confident the Europeans would win, but I think the American and Canadian brewed beers are gaining ground. The ordering is specific to my own taste preferences and those of my friends. If you have a different take on this I’d love to get your comments below. In truth they are all such good beers that you can’t really go wrong. For more detailed descriptions and ratings of each beer see one of the earlier posts in the series. I have received a few comments pointing out that some beers on this list are classified as Belgian strong dark ales rather than quads. While this is true the lines between the two styles are not very well defined. See my note at the end the post about this distinction. Without further delay, here are the results. 8. Weyerbacher Quad – Lighter in color than most quads, this beer is too sweet for my tastes and does not hide its alcohol well. It is the only beer of the 15 that I would not recommend. 7. Trader Joe’s 2013 Vintage Ale – Closer to a Dubbel than a quad, it probably doesn’t belong on this list, but we had a bottle and so I put it into the contest. Whether you call it a quad or a dubble at $5 for a 750 mL bottle this Unibroue brewed beer is a great value. 6. La Terrible – This beer has a characteristic Unibroue flavor that comes from their distinctive yeast, dark fruits, cloves and other spices, and a bit of milk chocolate. La Terrible is a bigger, bolder version of the Trader Joe’s Vintage Ale. 5. 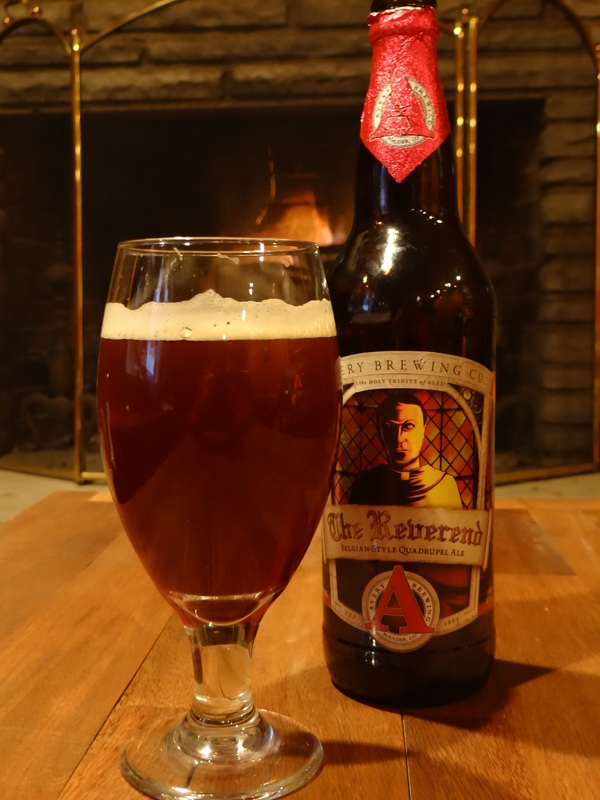 The Reverend – A quad brewed in the La Trappe style. Rich caramel and butterscotch flavors accented by vanilla and lighter fruits, no raisins or plums to be found here. 4. Three Philosophers – The addition of Liefman’s Kriek (2%) gives a unique taste profile, cherry highlights, and a nice creamy mouthfeel. This beer is less malty and has a drier finish than any other quad on this list. 3. Mad Elf – Although cherries are added the fruit flavors are very subtle here, rich toasty malts are the main attraction and the finish is dry and oh so clean. It’s not particularly reminiscent of a Belgian quad, but it’s an elegantly simple wintertime indulgence. 2. Rigor Mortis Abt – Rich bready malts with a big dose of dark fruits and considerable complexity from the yeasts, the classic Belgian Quad tastes are nicely balanced and highlighted by a distinct caramel/vanilla note. 1. 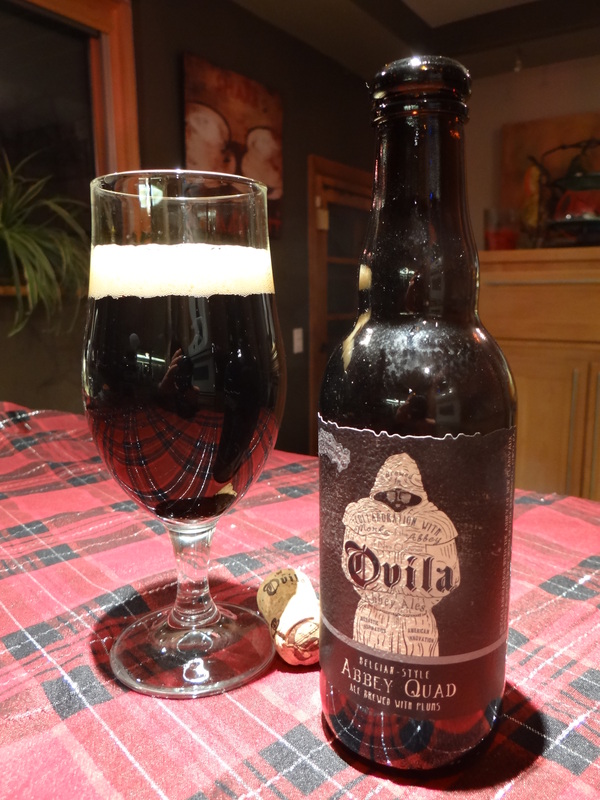 Ovila Quad – This beer comes closest to the Rochefort/St. Bernardus/Westy dark fruit style of Quad than any other American/Canadian brewed beer we tried. Although similar in every other way it is only 60% the price of its Trappist counterparts. Ovila edges out Rigor Mortis for the top spot by virtue of it being a little drier (higher drinkability) and less expensive. 7. 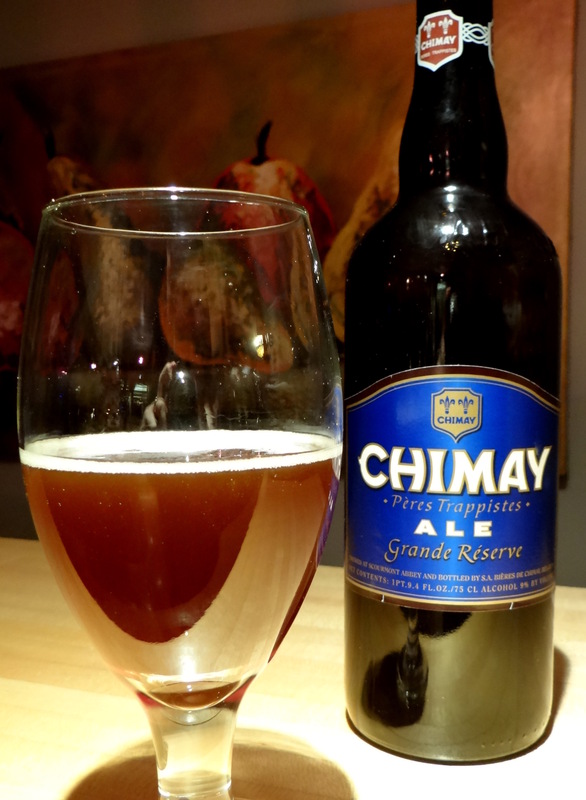 Chimay Grand Reserve (Blue) – All of the characteristics of the dark fruit Trappist quad but with everything dialed back a notch from over the top decadence (alcohol, nose, mouthfeel, calories). In a parallel universe where people drink quads like they were IPAs, Chimay Grand Reserve would be the session beer. Think of Chimay Blue as Rochefort-light. 6. Rochefort 10 – The classic Belgian Quad—dark fruits, brown sugar, and Belgian yeast. In two rounds of blind taste testing this beer was identified as having more raisin character than any other. For all of the decadence of the style Rochefort 10 manages to keep things from becoming too heavy or too boozy. 5. St. Bernardus Abt 12 – Very similar to Rochefort, but in a blind test five of the six judges preferred St. Bernardus. It hid the alcohol a little better and had a little better balance (the raisins were less dominant). 4. La Trappe Quadrupel – A totally different beast than every other beer on this list. Rich caramel malts, accents of lighter fruits (peaches, apricots, bananas), and distinct Hefeweizen-type notes of banana and bubble gum on the nose. 3. 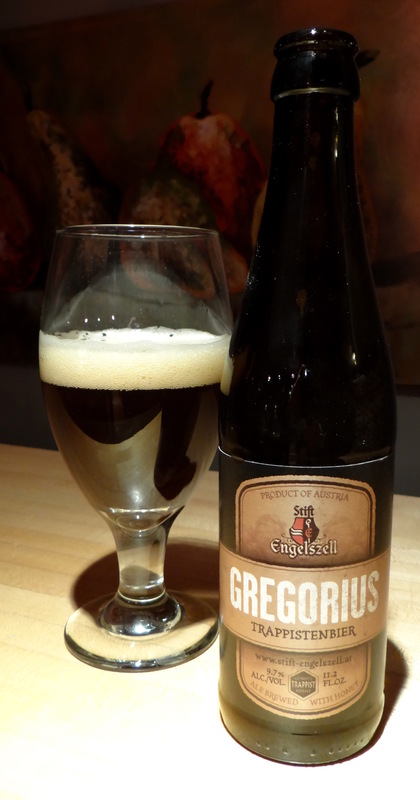 Gregorius – A worthy new addition to the list of great Trappist Quads. The Alsacian wine yeast used by the monks at Stift Engelszell gives similar flavors of dark fruits and spicy phenols as the Westvleteren and Rochefort yeast strains, but the addition of honey adds a unique complexity and some sweetness that makes for a delicious, decadent, dessert-like beer. 2. Pannepot – Chocolate flavors from the roasted malts are masterfully blended with a big helping of dark fruits (plums, prunes, figs), and accented with spices (particularly cloves). This beer tastes like you took a Rochefort 10 and mated it with your favorite stout. 1. 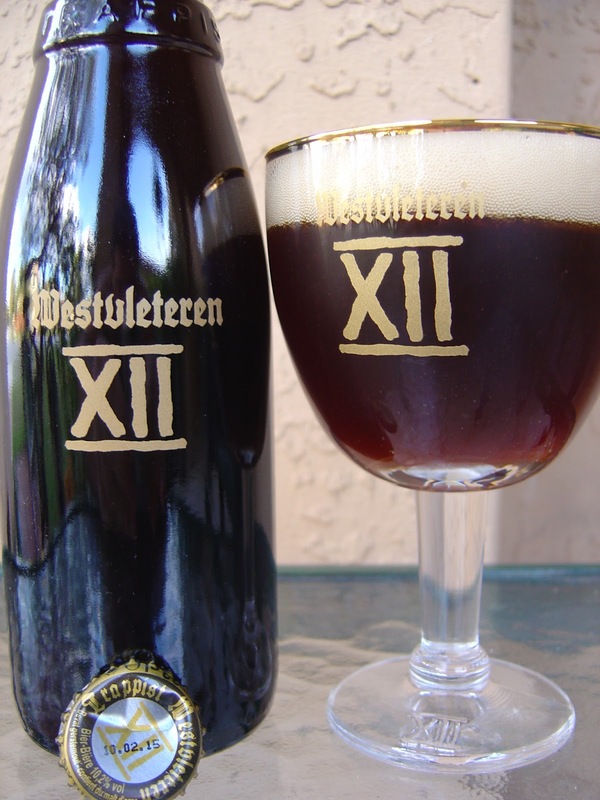 Westvleteren XII – Although it would be more edgy and hip to say that this rare and highly coveted beer does not live up to the hype, in our blind taste test Westy 12 fended off the challengers to emerge as the top beer. It has a similar taste profile to Rochefort 10 and St. Bernardus Abt 12, but it has a bigger nose and the flavors just seem more lively. The spices are more prominent and the malt/dark fruit balance is a little better. The ratings above reflect my opinions on these 15 beers, but there are other ways they can be ordered. For example we can arrange the beers from most to least expensive (normalized to a single 12 oz bottle) to see if we can separate the overrated beers from the steals. There is a general correlation between price and quality. 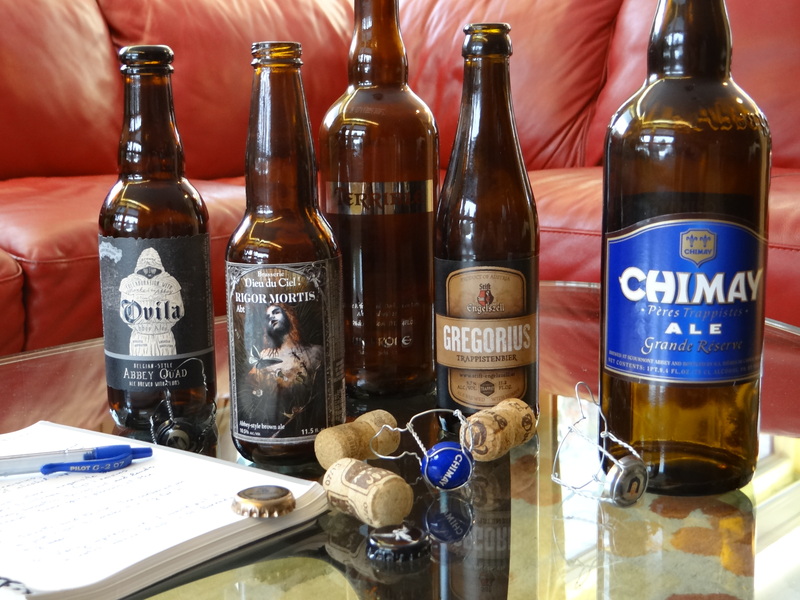 The top three rated beers of the competition (Westy 12, Pannepot, Gregorius) are also the three most expensive. Weyerbacher Quad is the cheapest, but it was also the only beer of the fifteen that got a negative review. I guess you get what you pay for. It’s worth noting that Ovila, The Reverend, and Mad Elf all seem expensive when compared with other domestic beers, but compared with other quads they seem like a steal. A few things catch my eye when comparing these ratings to my own list. I could make a defensible argument that Rochefort 10 and Chimay Grand Reserve are a little overrated. Of course it is a matter of personal taste and one has to remember that the age of these beers can make a significant difference. However, I can tell you Rochefort 10 was my favorite quad prior to doing this exercise, but I now feel that there are better options out there. There is no doubt in my mind that Ovila Quad is not far behind Rochefort and St. Bernardus, yet it is rated a full half point lower in both of the big online rating services. I’ve got to chalk that difference up to reputation and price influencing the reviewers. Given the lower price tag of Ovila I highly recommend that you try the comparison for yourself. Gregorius is seriously underrated. While I can admit that different people have different tastes I find it hard to believe that when tasted back to back anyone could prefer Weyerbacher Quad over Gregorius. It should at a minimum be rated close to Rigor Mortis Abt. Several of the lighter colored quads (La Trappe, The Reverend, Mad Elf) get less love than their dark fruit brethren. This is strictly a function of taste preferences I suppose, but an interesting one. Well that’s it. I hope you enjoyed the quadrophilia series. Tasting all of these beers in a short period of time was an eye opener for me. I discovered several new beers that will be among my favorites. I’d love to get your comments and thoughts on the whole exercise and what quads you think are either underrated or overrated. For the next month I’m going to have to switch to a session IPA to reset my taste buds, my waistline and my bank account. 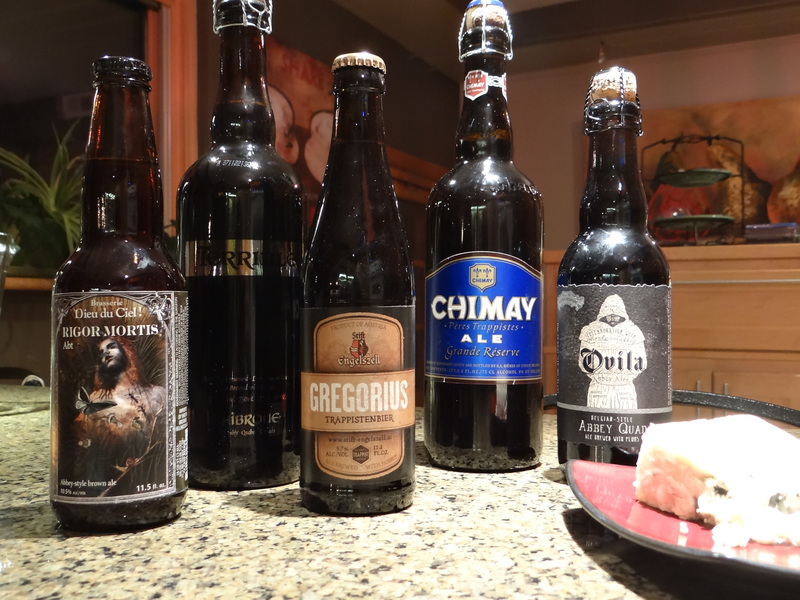 What is the difference between a Quadrupel Ale and Belgian Strong Dark Ale? As pointed out in earlier posts in the series not everyone would agree that all of the beers on this list should be called quadrupel ales, preferring instead to label some of these beers are Belgian Strong Dark Ales. However, the distinction between the two is not very clear cut. La Trappe has trademarked the name Quadrupel Ale so none of the other European beers call themselves quadrupel or quads. 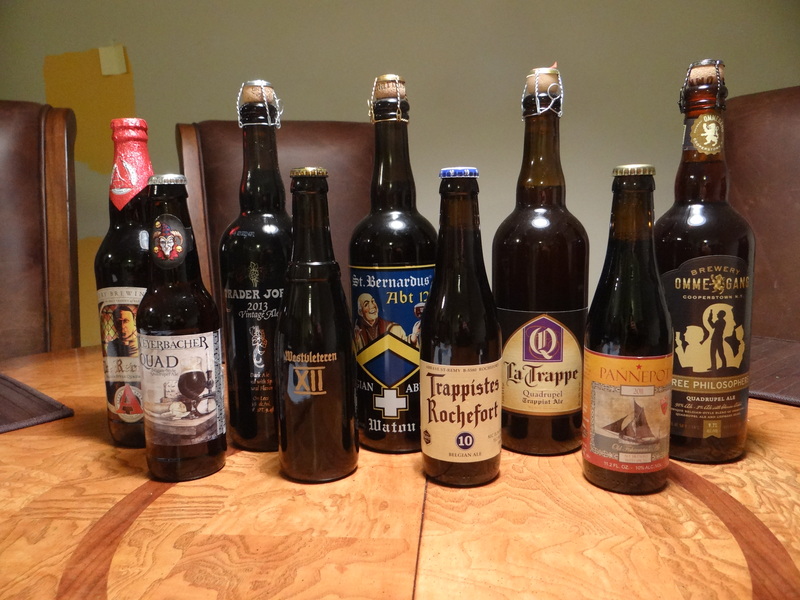 Furthermore, the BJCP guidelines do not have a category for a quadrupel ale, rather all of these beers would fall into either the Belgian Dark Strong Ale (BDSA) category or the Belgian Specialty Ale category. I’ve pasted a comment on the beers that should be included in the BDSA category from BJCP guidelines below. Authentic Trappist versions tend to be drier (Belgians would say “more digestible”) than Abbey versions, which can be rather sweet and full-bodied. Higher bitterness is allowable in Abbey-style beers with a higher FG. 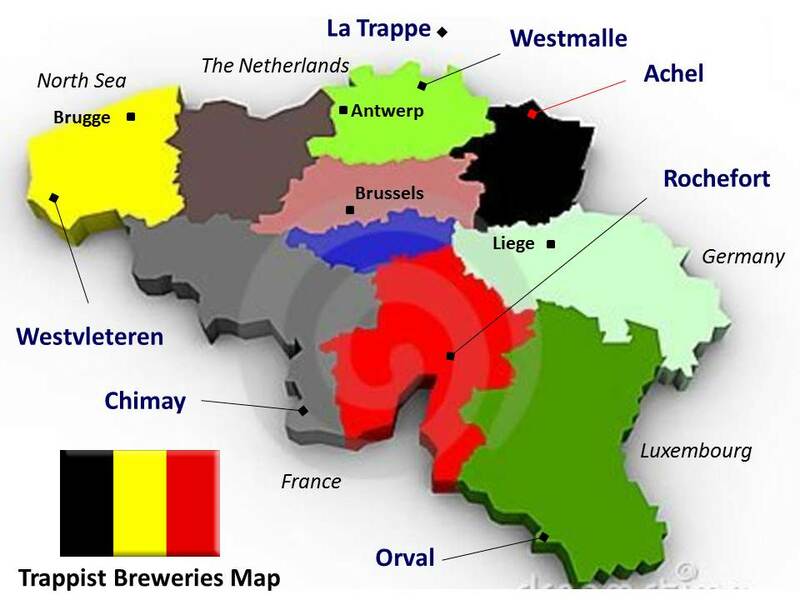 Barleywine-type beers (e.g., Scaldis/Bush, La Trappe Quadrupel, Weyerbacher QUAD) and Spiced/Christmas-type beers (e.g., N’ice Chouffe, Affligem Nöel) should be entered in the Belgian Specialty Ale category (16E), not this category. Traditionally bottle-conditioned (“refermented in the bottle”). It’s interesting that according to these guidelines La Trappe Quadrupel and Weyerbacher Quad, which are marketed as quads should not be lumped into the same category with the other “quads”. I will admit that the lighter colored beers in my grouping (La Trappe, The Reverend, Mad Elf, Weyerbacher) have as much if not more in common with an English Barleywine as they do with the dark fruit Westvleteren/Rochefort family of quads. Alcohol content is another important characteristic and two of the fifteen beers have an abv < 9.5% that makes them questionable inclusions: Trader Joe’s Vintage Ale and Chimay Grand Reserve. While those two beers are lighter bodied they do have very similar taste and aroma to the rest of the beers on this list. Furthermore, if Chimay Red is a dubbel, and Chimay White is a tripel, it’s not such a stretch to refer to Chimay Blue (the strongest of the three) as a quad. In the end I recommend the Belgian approach of not taking strict style guidelines too seriously. I’ve tried to describe the beers the best I can and you can judge for yourself what you like. Great job Pat. Using some of your notes to set up my own Quad tasting Round 2. Monkish made one Quad – Select Monk 4 (April 2016). Amazing and I have another bottle. Brought back some Westy 12 from the monastery in 2016. In Dec 16 we did a blind with Monkish, Westy 12, St Bernardus 12 & Straffe Hendrick Hertiage 2013 Oak aged. Four tasters, one a winemaker with an incredible palate. Only discussion was what was 2nd, Monkish killed it. Just talked with a guy who did a blind btwn Monk and Westy with a couple of friends unfamiliar with either and he had the same result. The next one will include Monk & Westy again, La Trappe, Rochefort, Stickee Monkee aged (too sweet fresh), Ovila, Ommegang & hopefully a De Molen, and more. Probably have to do multiple rounds.So keep looking. That Monkish beer must be pretty amazing. I hope I get a chance to try it someday. Thanks for sharing your results. Nicely done series, Pat. Angelo Signorino suggested I check out your blog because he felt we “are on a similar mission” (blogging about good beer?). I enjoyed this series a lot. I’m a big fan of the Belgian styles and most other predominantly malty beers. I’ve yet to try Westvleteren XII but I generally agree with you on which quads I like best. I’ve not mentally ranked them because I like several for different reasons, but my favorites include Rochefort 10, Three Philiosophers, The Reverend, St. Bernardus Abt. 12, and Mad Elf. If I could only have one of those for the rest of my life, it’d be tough to choose… probably Rochefort 10. Thanks for leaving a comment Michael. I’m always happy to find a kindred spirit. I will have to check out your blog. I agree it’s pretty hard to choose just one of these quads as your favorite, they are all fantastic in their own way. By the way if you haven’t tried Pannepot I highly recommend it. A wonderful series, thank you. Having just been introduced to quads, via Weyerbacher, I was interested in expanding and followed your list to do so. I conducted my own experiment, so to speak. I was able to find most of the beers at a local store here in MA. I had Weyerbacher, Gregorius, Pannepot, Rigor Mortis, La Trappe, Rochefort, St Bernardus, and threw in Gouden Carolus, a Belgian Strong Dark Ale to make it 8. The biggest difference I see, in our tastes, is that I enjoy the alcohol burn more than you seem to, but our lists are similar. Gregorius is absolutely wonderful. Very complex Austrian take on the Quad. La Trappe was simply phenomenal, as was Rochefort 10. I especially enjoyed the clove and peppery tones I tasted there, held the sweetness back a bit. The Gouden Carolus, while not a quad, was very similar and quite delicious. I highly recommend giving it a try if you can find it. St. Bernardus, La Trappe, Rochefort, Gregorius, Pannepot, Rigor Mortis, Weyerbacher. So thank you, thank you, and thank you again. Your 2 year old contest had me diving headfirst into the world of Quads. I will be drinking many of them happily again, and toasting you as I do. I’m glad to hear you enjoyed the quad series so much so to do your own taste test. Those are some phenomenal beers I’m sure if we conducted the experiment again the order might be a little different. I’ll have to keep an eye out for Gouden Carolus. Gregorious and Pannepot are underrated in my opinion but certainly belong in the same league as the others. Thanks for the commnet Emile. Good luck tracking down the Westy 12. Nice Wrap-up. When it comes to Rochefort, I tend to put 8 over 10 in my personal preference listing. Although I do love both. I’m glad you liked the series. I do have a bottle of Rochefort 8 in the basement that has been aging for a little over a year. I’m looking forward to breaking that one out one of these days. Even though Rochefort 10 finished lower than I would have predicted I still think it is a great beer.